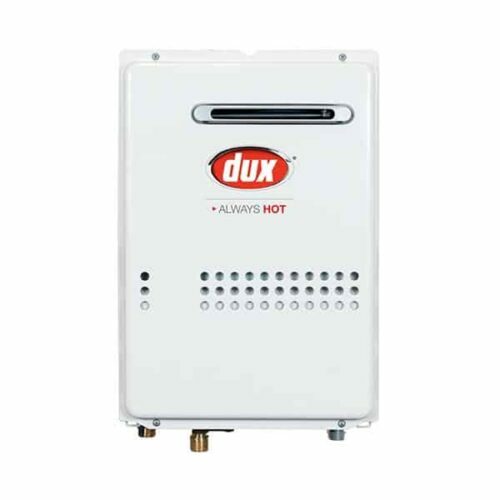 SA Hot Water™ has available a big range of Dux Hot Water Systems in Adelaide. Dux Endurance Plus models in 20 and 26 litres feature an all-weather cover. Endurance Premium features a stainless steel cover. 20 and 26L/min hot water delivery options. Controllers available (Bathroom areas must be tempered when adding controllers). 10 Year Warranty – 10 years on heat exchanger including 3 yrs full parts and labour. Contact now for Callback & Dux Endurance Plus 26L 5 Star Gas Continuous Flow Hot Water System Best Price! 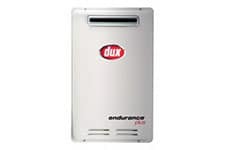 Dux Endurance Plus 26L 5 Star Gas Continuous Flow Hot Water System Best Price!